Needless to say, for us at CircleMe data is important, and among this, your data is of the utmost importance. It’s since the beginning of CircleMe (now more than 7 years) that we care about your personal data and do all is necessary to keep it safe and, of course, private. We do this with passion and commitment. For this reason, this month, motivated by the General Data Protection Regulation (GDPR) [(EU) 2016/679] which comes into effect today, we have dedicated some time to improve our services and its related Privacy Policies. You know, you might have been bombarded by e-mails and other messages regarding the GDPR effect (and that is annoying, no doubt! ), but we believe that the GDPR is actually a great step in the right direction, for any digital citizen. For this reason, we welcome and embrace it, with the hope that we will always do what is required (and more!) to comply to all its requirements. So, how did we start doing this practically? Well, let us tell you what we did. No doubt communication is key, and often trying to understand what is written in the fine-prints of terms and policies is a total nightmare. We will try to stay away from incomprehensible legal text, or at least, when we cannot avoid it, we will try to help with some simplifications along the sides. We use the data to make CircleMe awesome. Our objective is to provide you with a service (CircleMe) that gets you the best digital experience based on your interest-profile. For this reason, we need to ask you about your interests (and other personal data) to provide you with a service you will love. Your data is, in fact, yours! You are in control of your data in more than one ways: you can decide how much data you provide us; you can edit your data; you can deactivate your account (if you want to take some time off the platform and hide all your information); you can permanently delete all your data and you can even ask you to export your data (for use in other ways). We will always ask permission to use your data appropriately. This means that you might have to ‘tick’ several boxes instead of just one, but we do it for transparency and to clarify that there are different uses of this data. Depending on the case, we use your personal data to make CircleMe work well for you; we use it to communicate with you; we use it to create intelligence on people’s interests; we use it to learn how to improve our services. We do not sell your personal data. We are a business, and might do deals where aggregated forms of data are shared with partners, but we do not sell data that cannot be anonymized. Hope you appreciate our transparency. Data is gone if not used. We will delete your data if you stop using our services for a prolonged amount of time. Data safety in our minds. Good security measures are in place since years to protect your data, but we are making them even more robust. Rest also assured that in the unfortunate event of a data breach, we will inform you and the authorities within 48-72 hours. Please note that if you have any question or doubt about it, you can ready out to us at any moment by writing to privacy@circleme.com. Our staff will respond to you in a timely fashion. Aligned with our company philosophy of “continuous improvement”, in the past weeks our team focused on improving many areas of the site also to ensure better and more transparent communication. You will find tweaks in our registration process as well as in our communication (by email and internal to the platform) and in additional notification opportunities within the platform. Perhaps, at times, the notifications might appear a bit overwhelming, but our goal is just to ensure that in this transition period all our users (which are now in the hundreds of thousands) will get all the needed information from us. Once we feel that all our community has been informed, you will see a decrease in the number of these notifications. Frankly, we are very happy that the European Community gave us the chance to dedicate more time to this delicate and important topic of personal data protection. We hope that this step is the first significant one in the direction to give increasing power and clearer awareness to the digital citizen, all across the web. Now, time to enjoy the immense Internet again! I like this or I like that, but not both! As CircleMe’s main objective continues to be getting the most interesting content to all its registered users, today we launch a new feature to learn more about people’s preferences. In a newly designed feed card, we ask Circlers to express a preference (if any) between two specific topics, and this way we get to learn more about users and bring you even more relevant content for you to read. Did you get to try CircleMe yet? Perhaps today is the day. We are curious to know what you think. In the meantime, keep on circling your passions. Android’s app gets a new look! Yes, we know, it was long overdue, but finally we got to freshening-up the Android app look&feel and today we launch our sexiest-yet app for Samsung, Huawei, LG, OnePlus, Xiaomi, ZTE, Google Phones, HTC, Motorola, NEC, Acer, Asus, or whatever other Android device you might own! We are sure tens of thousands of people will be happy for it. Try it out by downloading it from the Google Play store. This new version not only features the latest CircleMe graphic design, but also gets to you plenty of small improvements and bug fixes that some of you were desperately looking for. Here below you can get a ‘feel’ for the new app with a nice screenshots gallery. In the meantime, our interest-network continues to increase, with millions of articles, posts, images and videos available for any of your life’s passion you can think of. Each day, you can expect at least 500 and up to 1000 new articles with news about your favorite topics. New iOS app with lots of users around you! We get excited about every new release, especially as it allows us to launch features that our Circlers have put on their “wish list” in the past weeks. Today, the new version of our iOS app will feature some improvements to the user-experience, both for the discovery of other Circlers, and the discovery of new interests and related content. On the discovery of new users using the app, we apply now better filters in our algorithm to show users who are closer to the Circler, and who have a richer and better-matching interest-profile. Our tests have proven very positive, with results showing a much better set of people suggested for different users and their related profile. Try it now and let us know what you think of it! On the discovery of new interests, our algorithms are getting much more effective in bringing to a Circler’s attention not only the popular interests, but also the ones “hyped” (i.e., interests that in a given, short, timeframe get lots of visibility and activity around them). This way you will not just see ‘Traveling” (9200+ likes), “Apple” (12800+ likes) and “Game of Thrones” (5250+ likes) on the list, but even interests such as the one about the actress and model Alicia Vikander (165 likes now) or the one about the astronomical phenomenon of the Eclipse (959 likes now). The last weeks have been very rewarding to us, with the involvement of our users increasing constantly (+110% time spent per user since the beginning of Summer). We’re very honored of this, and we hope that all our little improvements will continue to make you happy and enjoying the use of CircleMe. New iOS app is launched! today is a big day: the release of our brand-new iOS app! Want to create a profile with all the things you truly care and are interested about? Want to get fresh content on any of 1 million interests available on the platform? Create your personal magazine with CircleMe, expressing all your Likes in one place, and getting up to 1000 new articles per day on anything you can think of. More than this, get our “magical” Personal Calendar populate with all the events you most likely will be interested in, being related to your interest-profile and the location where you are. 70,000 events are ready for you to discover them! With 5 years experience on our back, we worked hard to improve the User-Experience which will anyway affect hundreds of thousands of users. If you have the original CircleMe-iOS app on your phone, you will see the gigantic leap we took. We made the exploration of content much easier, and reading an article more pleasant. On top of all this, we added a feature to spot fake news, which is certainly something we really care about. We look forward to hearing your feedback on how you find our new iOS app for CircleMe. Here at CircleMe we’re proud of being from Milan. Its foggy streets were once walked by some of our favourite artists like Caravaggio and Da Vinci, and it also has one of the most impressive buildings in the world: The Duomo. 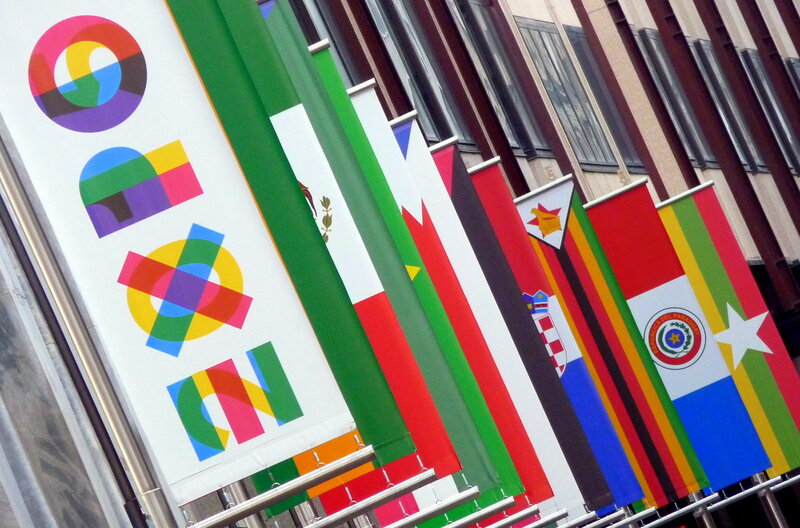 In 2015, we’re proudest than ever, as EXPO 2015 will bless its streets with culture and thought provoking topics. Today, we’re super excited to contribute our bit to Milan’s legacy as the world capital of design and fashion as we’re collaborating with one of our favourite projects by EXPO Milano 2015: Women for Expo. During the six months of the Women for Expo project, views will be shared on the nourishment of not only the body, but of freedom and intelligence. The sustainability of the planet is expected to form a new alliance between food and cultures and it is women who will be the driving force behind this. We think such initiative, which aims to involve women from every country, culture, profession and age is a fabulous one. Thus, we’re overjoyed to be able to collaborate by facilitating participation by women from across the world on CircleMe. Those interested in the project will be able to follow the latest news and discussions originated from Women for Expo and make their own contribution in continuously evolving conversations. Like Women for Expo on CircleMe today!